We know how hard it can be for people with celiac or gluten intolerance to find delicious, convenient options and to trust what they buy is gluten free. We hope the GFCO certification helps reassure them that our Grilled Fish meets their dietary needs. Gorton’s Seafood, in honor of Celiac Awareness Month, is proud to announce that their Grilled Fish line of products have been certified as gluten free by the Gluten-Free Certification Organization (GFCO), the leading gluten-free certification program in the world. This third-party endorsement from the GFCO, which is operated by the Gluten Intolerance Group, guarantees that Gorton’s eleven varieties of Grilled Fish products, and the facility where they are produced, are free of gluten such as wheat, barley, rye, and triticale. GFCO-approved products represent unmatched reliability for meeting strict gluten-free standards. Gorton’s offers eleven varieties of Grilled Fish, which are expertly seasoned with real herbs and spices. In 2011, Gorton’s announced that their Grilled Fish products, which include Grilled Tilapia, Grilled Salmon, Grilled Haddock, and Grilled Fillets made from wild-caught Alaska Pollock, were gluten free. Procedures were implemented at the production location to avoid cross-contamination, and ongoing monitoring and testing began. In support of the announcement, Gorton’s teamed up with the Celiac Disease Foundation, sponsoring the organization and sharing the news with their members. The feedback from gluten free consumers continues to be tremendous, and Gorton’s continues to be a proud sponsor of the Celiac Disease Foundation. 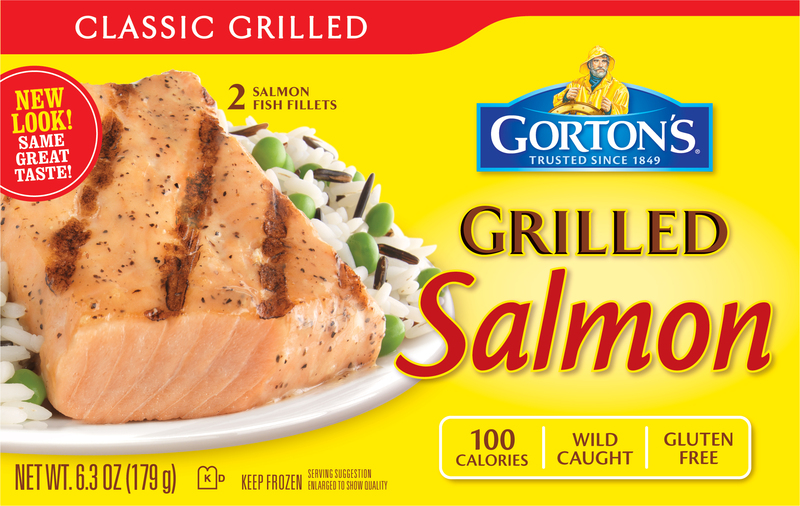 To additionally inform consumers of the gluten free status, Gorton’s eleven Grilled Fish products have been labeled “Gluten Free” since 2011. In 2013, in response to consumer feedback, Gorton’s took the extra step of inviting the GFCO to inspect the manufacturing facility for the Grilled Fish products and received the GFCO certification in the last week of May, which fittingly is Celiac Awareness Month. Gorton’s Grilled Fish products are high-quality fillets of whole fish, expertly flame-grilled and pre-seasoned in a variety of mouthwatering herbs and spices. Grilled Tilapia, Grilled Salmon, Grilled Haddock, and Grilled Fillets made from wild-caught Alaska Pollock have the same delicious flavor that consumers know and love from Gorton’s, without the gluten. These products are naturally full of protein and healthy omega-3 fatty acids that help promote brain development and heart health. To learn more about Gorton’s gluten-free Grilled Fish, please visit gortons.com/glutenfree. You can also connect with Gorton’s on Facebook, Twitter, and Pinterest, or visit gortons.com/recipes for gluten free dinner ideas.